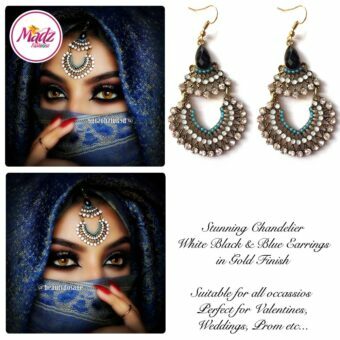 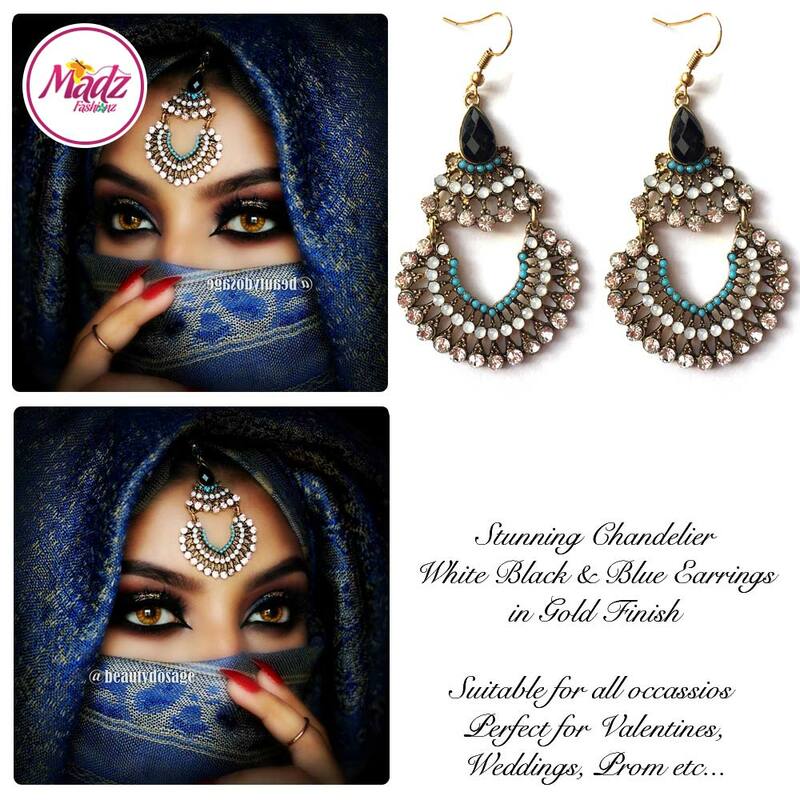 This is beautiful earrings and hair tikka set mixed with tiny turquoise blue crystal in combination with shimmering clear and black crystals. 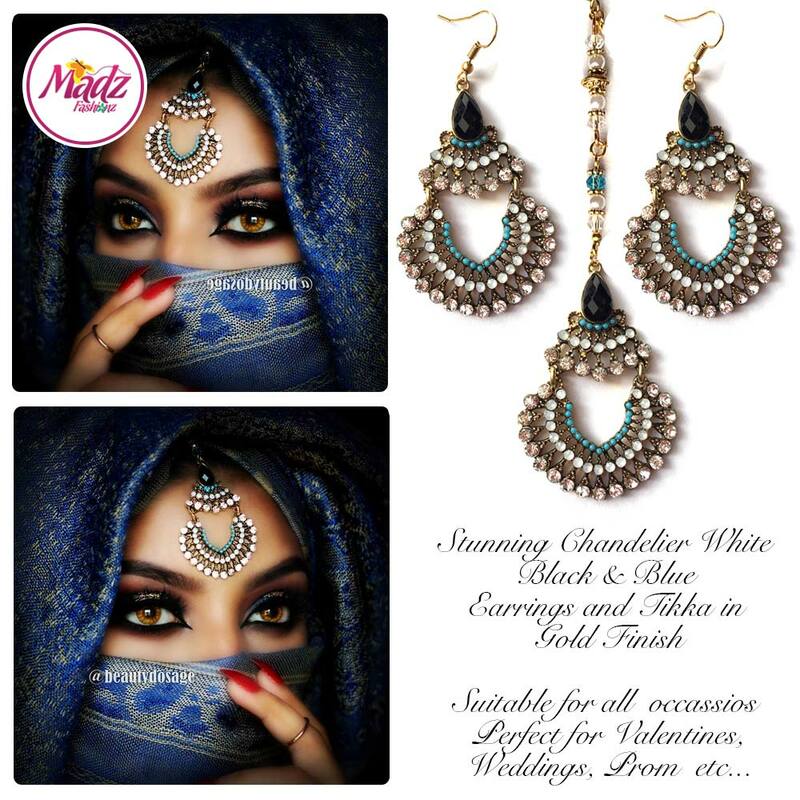 It can be worn formally or as a brides piece. It has been modelled by the most talented Jeeshan Umar formally known as Beautydossage. 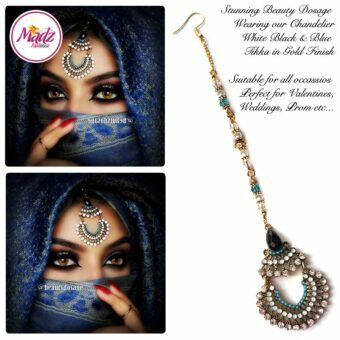 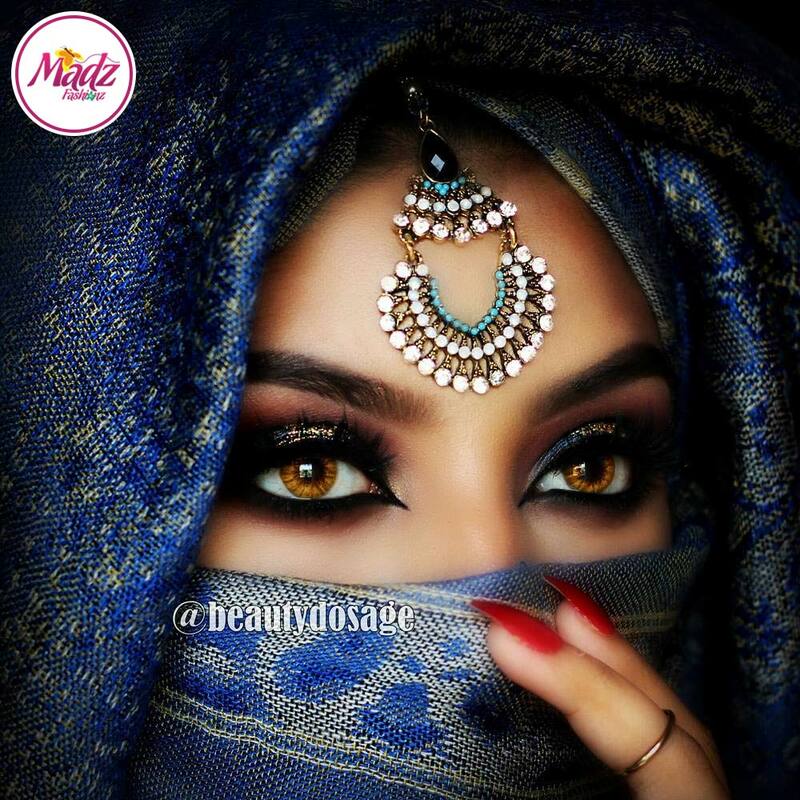 Its an original jewellery hair tikka design only available at Madz Fashionz.